While I was working from home the other day, my phone rang three times. A robotic voice told me that I was in debt to the IRS and needed to pay immediately or I would go to jail. I knew it was a scam because the IRS will NOT contact me by phone; but, I wondered, if I were home alone and did not know these types of scams exist, would I be frightened enough to send money? We must educate ourselves about the ways of scammers to protect ourselves and those we love. Phone scammers use several scams, such as the Grandparent Scam, the Computer Software Scam, and the very popular, “You’ve just won!” To handle these scam calls, do not pick up the phone. Let your answering machine take a message and then delete it. If you pick up, never send money. Instead, pause before doing anything. Then, call a loved one to get their opinion, check with your bank, or phone the IRS directly to check on your status. Unfortunately, many older Americans send money right away when this happens to them. Also, please be aware that Medicare has begun to mail out new Medicare cards that no longer show your Social Security number. This is good news! It helps protect you. However, senior citizens may not know this. The bad news is that scammers are pretending to be from Medicare to get their private information. 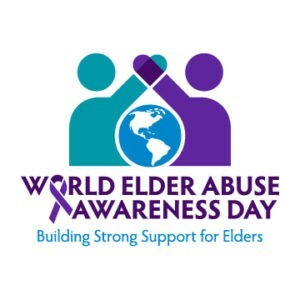 World Elder Abuse Awareness Day, on June 15, aims to promote a better understanding of this type of abuse and neglect of older persons by raising awareness. Financial elder abuse can take many forms, from IRS and Lottery scams to theft of money by trusted people. However, financial is only one form of elder abuse happening daily. Other types include physical, emotional, and sexual abuse, as well as neglect. The National Center on Elder Abuse (NCEA) is a resource center at the Keck School of Medicine at the University of Southern California. They provide resources to educate people about all types of elder abuse, including information and resources to help detect, intervene, and prevent abuse. Two fact sheets, Scammed? Now what… and The Grandparent Scam, provide scam information. Training resources on elder abuse are also available. Visit NCEA’s website to learn more about protecting yourself, your loved ones, and your community from elder abuse. Julie Schoen JD, brings her passion for all aspects of aging issues to her role as Deputy Director of the NCEA. 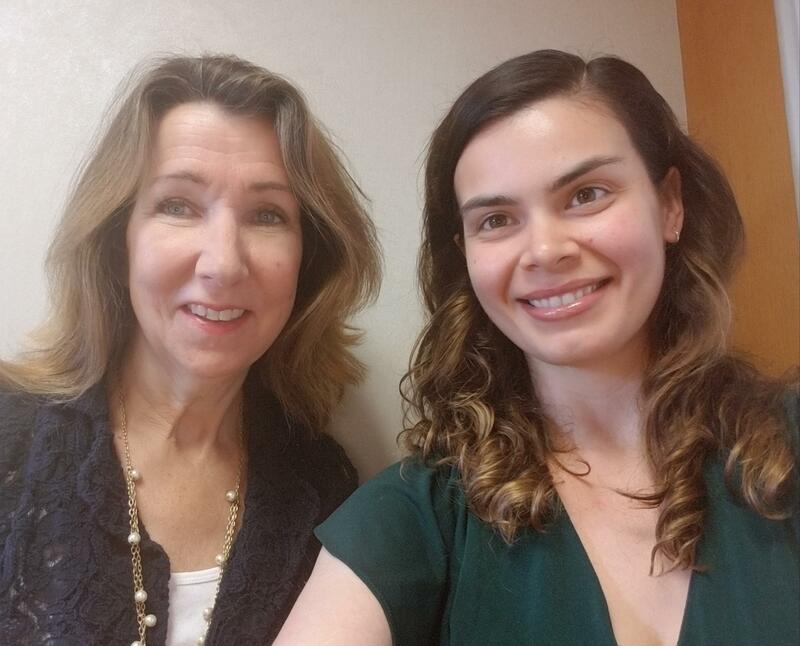 She is an attorney with a strong background in Medicare advocacy who is now having impact in the area of elder abuse. Eden Ruiz-Lopez leads grant management, and engages in education and outreach activities at the NCEA, among many other activities. Her background includes a wide range of advocacy, case management and service coordination for older people and people with disabilities. This entry was posted in Guest Bloggers, Special Events and tagged Computer Software Scam, fraud, Grandparent Scam, IRS, medicare, phone scam, phone scammers, scammers, WEAAD, world elder abuse awareness day by Julie Schoen, Deputy Director of the National Center on Elder Abuse (NCEA), and Eden Ruiz-Lopez, NCEA Manager Schoen. Bookmark the permalink. Very timely information and right on target. Hopefully AARP and AAA will add a reprint of this within their newsletters. Don’t worry, I don’t play their silly game. i HAVE BEEN REQUESTING THAT YOU PAY ME SOME OF MY SOCIAL SECURITY , BUT YOU SAID I WAS TOO YOUNG AND YOU HAVE MY DATE OF BIRTH. I CAN NOT COMMENTING ON ALL YOUR MAIL. THANKS HAVE A VERY BLESSED DAY. Trying to defraud the SS system, eh? You can help others by leaving them alone. Yes This Is A Horrible Way To End! Who are My True Freinds! DESEO CONCER CUAL ES MI ESTADO DE CUENTA DE MI SEGURO SOCIAL. *** – ** – ***. No le des tu número SS a otros. Este es un sitio público. Los estafadores solo aman a las personas como usted. For Social Security information in other languages, please visit us at http://www.socialsecurity.gov/multilanguage. Hello Salvador, for information in Spanish, please visit us at http://www.segurosocial.gov or http://www.facebook.com/segurosocial. For Social Security information in other languages, please visit us at http://www.socialsecurity.gov/multilanguage. Thanks! Had a call just 2 days ago. You owe IRS please call this number. Hung up didn’t come up on my phone as a scammer tightly. Normally some of them come up like that. Just becareful. Thank you for keeping us Seniors up to date. Thank you for your feedback, Nina! We’re pleased we can help. We will continue our efforts to meet your requirements and expectations in the years to come. I know one day social security administration will be an agency who cares for every one again i believe in GOD every thing will change.in that administration on the future.i know is going take time. What makes you think they don’t care for others, talk about a left-handed comment. Is Social Security an entitlement program? Depends on whose definition of the word you use. Technically, yes. Think about it. You paid into the system, therefore you are entitled to its benefits. Depends on whose definition of the word you use. Think about it you paid into the system, therefore, you are entitled to its benefits. No, that term applies to welfare. From the US Senate glossary: entitlement – A Federal program or provision of law that requires payments to any person or unit of government that meets the eligibility criteria established by law. Entitlements constitute a binding obligation on the part of the Federal Government, and eligible recipients have legal recourse if the obligation is not fulfilled. Social Security and veterans’ compensation and pensions are examples of entitlement programs. THANK YOU… I hope every family member is aware of this to protect the seniors….vulnerable at best…why would you help them up stairs, or into the car, or with grocery shopping and not help with protection from scams? We appreciate your thoughts. Thanks for your comment! And don’t forget the people who have been trying to steal our social security for the last 40 years by introducing privatizing scams; Republican lawmakers, bankers and Wall street gamblers. I won’t and don’t forget about people who make up s**t because they repeat the BS in the Democrat playbook over and over. Thanks for enlightening us all! Pls keep up the good work!!! Thank you, Geraldine! Social Security is committed to providing world-class customer service today and in the years to come. Congress stole 2.85 Trillion. Be our custodian and make written and verbal demands to get our money back. Or be quite and keep you plum job. I bet you won’t say a word to Congress. **#%&!!!!! So if a bank loans out your money for someone to buy a car, they’ve stolen it. Forget the fact that the bank will still let you withdraw your money that they supposedly stole. The 2’85 trillion is covered by treasurer notes. Thank you for the information ,however, scams work because we need services as seniors. The irony is seniors needs more affordable legal protection most of all that is good and helpful. Hello Mario. For information in Spanish, please visit us at http://www.segurosocial.gov or http://www.facebook.com/segurosocial. For Social Security information in other languages, please visit us at http://www.socialsecurity.gov/multilanguage. Thanks! Thanks. For your support and help. I was almost a victum of the fb lottedy scheme. Once they kept pushing me for my personal banking info a light went o. Lol. I refused to comply. On both my landline and my cell phone, I get at least 12-15 scam calls a day!! Thank you for posting these phone scammers so everybody is aware of them. How wonderful you are disseminating this information to all the social security readers. I work for the county and retrieve many, many calls on our fraud hot line. Some people are desperate and have given money to people “they do not know” — I have told them, NEVER EVER do that. Thank you, Arnelle! We’re pleased we can help. We appreciate your thoughts. TELL ME THIS ISN’T TRUE. I received a call today that told me if I was over 65 i could get medicare 1 that would save me money. Then the caller told me all the agents were busy. That was after I had asked a few questions. she said they could call back, but i never heard back from them . SSA employees occasionally contact citizens by telephone for customer-service purposes. An SSA employees may call you in limited situations, such as if you recently filed a claim or have other Social Security business that are pending. In only a few limited special situations, usually already known to the citizen, an SSA employee may request the citizen to confirm personal information over the phone. If a person has questions about any communication—email, letter, text or phone call—that claims to be from SSA, please contact your local Social Security office, or call Social Security’s toll-free customer service number at 1-800-772-1213, 7 a.m. to 7 p.m., Monday through Friday, to verify its legitimacy (TTY number at 1-800-325-0778). Thanks! Sadly many who are faced just as I am with losing my benefits if this administration has its way voted for the administration whose lies they believed and allowed their hatred of any/everything Black to cloud their judgment and they put someone in the oval office like Dumpy who only cares about using this country to line his pockets and realize his racist dreams of this country being only for Whites. The truth of the matter is that this country only became controlled by Whites after they viciously murdered Indigenous Peoples who helped them to survive after coming here from the streets of England. Think about it only an evil people could have done what they did and enact laws to keep themselves on top of everyone else as they did and do to this very day. I trust God and therefore will always be all right! I feel sorry for those of you who put your trust in this government and the idiots running it presently. How many total people work for the SSA? What is their total salary load, including benefits? Where does the money come from to support this workforce? I HAVE APPLIED FOR MY MEDICARE PLUS CARD SO MANY TIMES I HAVE LOST COUNT. EXCUSE CAPS BUT AM LOSING VISION AND ONLY WAY I CAN SEE. Julie has always been a GREAT advocate for older adults! So proud to have shared time with her in the SMP program! I am still admiring her! I was called at 9:30 AM today from Dallas, TX stating there was a warrant for my arrest regarding my SS # and I should call 214-810-9883 for further information. I know this a scam but I wanted to report it. thank you. I just received a phone call from the head office of the SS Administration that my social security number has been “compromised” and suspended and if I do not act my assets will be frozen, how do I know if this is real of a scam? told me to call 617-977-4912. SSA uses toll-free numbers except for local offices. A man called me saying he was from Medicare. That you all we’re sending me some medication and back and knee braces for free that they had back ordered from my Doctor. But they needed some information from me first. I told him if he was from Medicare he should have all my in formation. He said ” it was ordered from my doctor. I said ” then my doctor can call me and verify all of this.” I then said good bye and he said he would have some one call me tomorrow. Well, that did not happen! Just thought I’d let you know! Thank you for sharing, Charity. SSA employees occasionally contact citizens by telephone for customer-service purposes. An SSA employees may call you in limited situations, such as if you recently filed a claim or have other Social Security business that are pending. In only a few limited special situations, usually already known to the citizen, an SSA employee may request the citizen to confirm personal information over the phone. If a person has questions about any communication—email, letter, text or phone call—that claims to be from SSA, please contact your local Social Security office, or call Social Security’s toll-free customer service number at 1-800-772-1213, 7 a.m. to 7 p.m., Monday through Friday, to verify its legitimacy (TTY number at 1-800-325-0778). This is great information for all our elderly citizens, parents & grandparents. So I received my new Medicare card one day last week. In addition to tearing up my old card my mind somehow thought I should also tear up my Social Security card due to it also having my SSN listed on it…and then moments later I said to myself, “wait, was I supposed to do that?” Hmm. I did so because I figured it was the appropriate thing to do. “Wrong!” Logic fail. But not, really. So this is me now having to go to the local SS office and get another card. But go figure. Maybe a new alpha-numeric number for them should be sought as well. Just saying. Social Security needs to tell us how they are working to stop Fraud that occurs when people claim disability Falsely! That increased greatly from 2009-2016 when unemployment was high and when unemployment compensation ran out many people got disability benefits very easily! A huge scandal that will cause the funds for all to be depleted much sooner than if there was good oversight! Great message. However, with more than 40 years in accounting (20 of those in governmental auditing), I get “a kick” out of these scam idiots (pronounced Skuh-midiots)! Keep up the good work! Just received an obviously fraudulent call from “the Social Security Office.” When I called attention to the caller’s lack of standing, he became abusive. I’m 29 years old and I have to file for social security. Isn’t social security wondering how this happened? So many abused and neglected Children are filling for social security. Why aren’t the parents being investigated? In the special education department of just about every school in America. There is a neglect and abuse child. Let’s stop it before it makes is to SSA. I have been recieving messages to call this number or my social security will be terminated. there were two calls about this today from New Mexico. I don’t feel like this is a legitimate call, and want your input on the matter. Hello Ruben, SSA employees occasionally contact citizens by telephone for customer-service purposes. An SSA employees may call you in limited situations, such as if you recently filed a claim or have other Social Security business that are pending. In only a few limited special situations, usually already known to the citizen, an SSA employee may request the citizen to confirm personal information over the phone. If a person has questions about any communication—email, letter, text or phone call—that claims to be from SSA, please contact your local Social Security office, or call Social Security’s toll-free customer service number at 1-800-772-1213, 7 a.m. to 7 p.m., Monday through Friday, to verify its legitimacy (TTY number at 1-800-325-0778). Thanks. I was just contacted by 518-618-3086 asking me to call them back at this number claiming that he was a SSA Rep and he was officer Joseph Gagloff and that he wanted to question me about legal proceedings that the SSA was underway to prosecute me… When I asked the location he hung up… I knew it was fraud/scam for many reasons, but I worry others will fail to recognize…. Hi Jon. Thanks for letting us know. If the caller is claiming to be from Social Security—it is critical that you pay attention to the tone and content of the message from the caller. In some cases, the caller states that Social Security does not have all of your personal information, such as your Social Security number (SSN), on file. Other callers claim Social Security needs additional information so the agency can increase your benefit payment, or they threaten that Social Security will terminate your benefits if they do not confirm your information. This appears to be a widespread issue, as reports have come from people across the country. These calls are not from Social Security. If you receive a call from someone claiming to be from Social Security, we urge you to always be cautious and to avoid providing sensitive information such as your SSN or bank account information. Never reveal personal data to a stranger who calls you, and never send the stranger money via wire transfer or gift cards. Social Security employees will never threaten you for information; they will not state that you face potential arrest or other legal action if you fail to provide information or pay a fee. In those cases, the call is fraudulent, and you should just hang up. If you receive these calls, report the information to the Office of the Inspector General at 1-800-269-0271 or online at oig.ssa.gov/report.